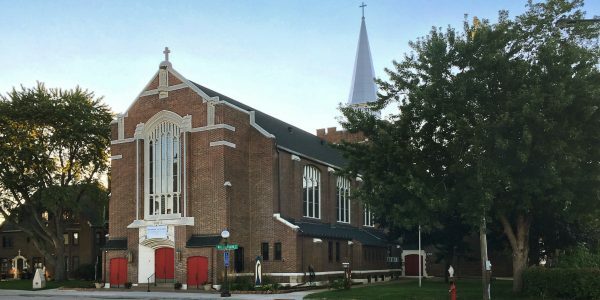 The history of St. Mary’s Parish is almost as old as that of the Congregation. St. Mary’s story begins in 1865. The parish was administered by the diocesan priests and lately by the Oblates of Mary Immaculate. After the Oblates left the parish, the CFIC was given the responsibility of the parish. In February 2003 Fr. George Manjankal became the parochial administrator of the parish together with other four brothers from different nationalities. Gradually the community also got involved in spiritual care of the sick and incarcerated. In 2009, Fr. 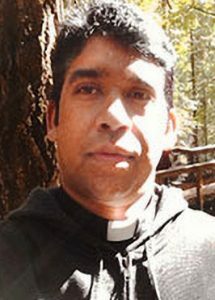 Biju Mathew was assigned as the pastor and superior of the community and Fr. Antony Skaria and Fr. Benny Mekkatt joined in the community. Fr. Benny later left to be Pastor at Church of the Presentation of the Blessed Virgin Mary in Maplewood, MN. In July 2017, Fr. 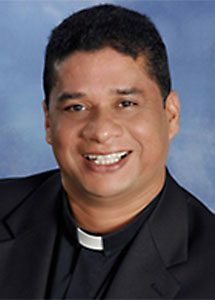 Benny Mekkatt was assigned as Pastor of St. Mary’s and Blessed Sacrament Parishes and Superior of the CFIC North American Delegation. Fr. 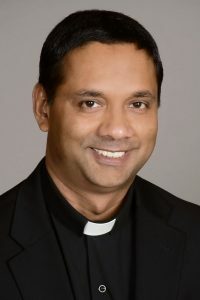 Jimmy Puttananickal joined the community in August of 2018, assigned as the Associate Pastor of St. Mary’s and Blessed Sacrament. He is also Hospital Chaplain at Regions Hospital in St. Paul. The community is actively involved in the spiritual care of parishioners, the sick and the detained through pastoral assistance, hospital chaplaincy and correctional ministry.